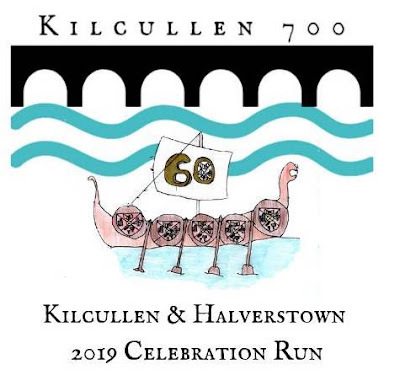 A reminder that the Kilcullen Celebration Run is taking place today, Sunday 24 March, as part of the programme to mark the 60th anniversary of St Joseph's NS in Halverstown, writes Brian Byrne. It is also part of the celebration of the 700th anniversary of a bridge at Kilcullen. The Run will be from Kilcullen Community Centre beginning at 11am. There are 5K and 10K options, and the operation of the event is by PopupRaces.ie. Entry is €15-€20 on the day. A family rate is available for the 5K. €3 of each adult fees will go to the Irish Cancer Society — Kilcullen Relay for Life. You can still enter, from 9.30 this morning.